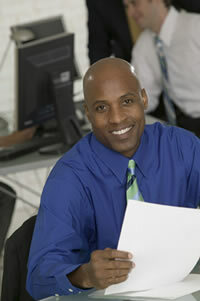 The Employment Reference service checks the same range of data as the Employment Verification. We make every effort to contact the listed supervisor or someone who worked with the applicant in a supervisory capacity. Enables employer to add up to 10 custom questions that Validex will ask during the reference interviews. Saves you time and labor expense compared to using your staff to check references. Performs the service with staff experienced at contacting difficult-to-find persons or offices. Tracks the time and completion of all calls. Provides consistency to the interview process by basing all interviews on a extensive list of questions/topics to cover. The topics include issues such as: communication skills, adaptability, and learning skills. Provides discretion when contacting the applicant’s present employer. The Validex interviewer identifies himself/herself but not the client who is considering the applicant. Frees the persons being interviewed to talk openly because the Validex caller is independent of all employers involved. Validex can act as an impartial coordinator of the process, delivering references without bias. Partner with the Experts - Contact a Validex Account Executive for details of the Validex Employment Reference service and how we can add value to your hiring program.